JOHANNESBURG, South Africa, May 23rd, 2018,-/African Media Agency (AMA)/- DODO HEROES will feature inspiring stories of animals in need from around the world, and the compassionate humans who go to unimaginable lengths to give them hope. With each episode focusing on one inspiring and moving story of people who go to any lengths to help animals, the series will explore the personalities and emotions of both humans and animals, while highlighting their unique connection. DODO HEROES marks Animal Planet’s first-ever global series launch which will premiere on Saturday, June 9 at 9PM ET/PT in the U.S. and in over 220 countries and territories worldwide. In Africa, you can watch it on Kwesé TV channel 420. 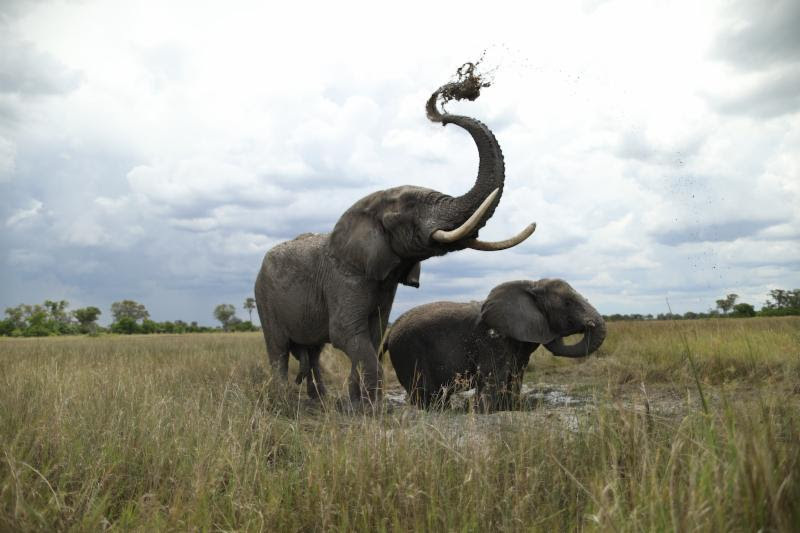 Animal Planet – Jabu and Morula playing in the mud. Derrick Campana runs Animal OrthoCare and is one of only a handful of people in the world who specialise in designing prosthetics and orthotic braces for animals. Jabu, a 30-year-old bull elephant living in Botswana, has a life-threatening leg injury. His caretakers, Doug and Sandi Groves who run Living with Elephants Foundation, have reached out to Derrick in the hopes that he can help. Chi Chi is a quadriplegic dog rescued from the meat trade in South Korean who now lives with her loving owners in Phoenix. After having all four of her legs amputated, Derrick built four prosthetic legs so Chi Chi can walk and run again. Derrick meets with Chi Chi to adjust her prosthetics and check her progress before flying to Botswana to fit Jabu with the world’s first elephant orthotic leg brace – which he hopes can save his life. Crikey the koala was just a baby when he was found all alone and very sick on Australia’s Magnetic Island. But luckily for Crikey there’s a remarkable family there who spend their time rescuing koalas and rehabilitating them in their home so that they can eventually go back to the wild. Ali Bee, a veterinarian with Magnetic Island Koala Hospital, and her family are fighting to save Australia’s rapidly declining koala population. And she, her husband Tim, and their 10-year-old daughter Izzy, took Crikey in a year ago. Izzy became Crikey’s surrogate mother and helped nurse him back to health. Now, the Bee family is preparing for the emotionally difficult but important and inspiring task of releasing Crickey back to his natural habitat. Saying goodbye won’t be easy, for both Izzy and Crikey. Sebastian Fluieras, a U.S. soldier deployed in Afghanistan, finds a litter of six puppies and wants to rescue them – but it’s against military rules for him to care for them on the base. Sebastian turns to British Marine Pen Farthing and his girlfriend Hannah Surowinski for help. Pen and Hannah run Nowzad, Afghanistan’s first and only official animal sanctuary which houses over 150 animals rescued from the streets of Kabul. Pen and Hannah’s goal is to rescue and transport the puppies from Afghanistan to Texas, where they’ll be reunited with the U.S. soldier who saved them. Pepe the spider monkey has lived his entire life on a short chain in a Peruvian circus. At the same circus, six lions, including a female lion named Kiara and her two cubs, are kept in cages and forced to perform. Animal Defenders International (ADI), led by Jan Creamer and Tim Phillips, arrives in Peru to rescue the animals. Their organization has already helped ban the animal circus industry in over 40 countries – and they are determined for Pepe, Kiara and her cubs to live a life free of chains and cages. Katherine Connor and her five children run and live within a one-of-a-kind elephant sanctuary, Boon Lott Elephant Sanctuary, which rescues and rehabilitates elephants from Thailand’s tourism and logging industries. Katherine’s latest project is to rescue the majestic Pang Fai, an elephant who has spent her lifetime logging and in chains. She desperately wants to retire Pang Fai and bring her live out her life with other elephants and her family at the sanctuary, but her owner depends on Pang Fai for income and isn’t sure that he’s willing to give her up. Ponso lives alone on an island in the Ivory Coast and has been dubbed the loneliest chimp in the world. In 2015, chimpanzee expert Estelle Raballand met Ponso and the two now share an incredible bond. Estelle’s long-term goal is to set up a chimp sanctuary in the Ivory Coast where Ponso and other chimps can live freely with each other – but in the meantime, she’s determined to find a companion for Ponso. Estelle thinks Nikla, a chimp recently rescued, might be the perfect match. DODO HEROES is a Nomadica Films production produced for Animal Planet. For Nomadica Films, Jared McGilliard and John Collin are executive producers. For The Dodo Izzie Lerer is executive producer and Yujung Kim, Joanna Zelman, Matt Pickar and Hayley Lozitsky are producers. For Animal Planet, Keith Hoffman is executive producer and Sarah Russell is producer. Distributed by African Media Agency (AMA) on behalf of Discovery Communications.